I knew that babies would make me sleep deprived. I feel like that’s common knowledge. What I didn’t know, was that after months of successful sleep training, when you think you’ve finally figured out all the secrets to getting your baby to sleep, they magically decide to revert back to newborns. What a cruel world we have to live in that sleep regression even exists?! I didn’t know that was a THING! Unfortunately, yes. A sleep regression most commonly presents itself at around 4 months, 9 months, and 12 months. This is around the time that your baby is going through some major milestones such as teething crawling, even walking. 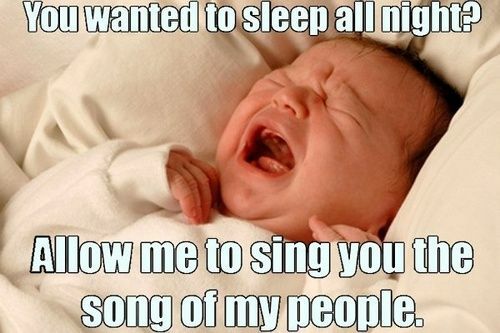 So pretty much, any new thing baby learns how to do can screw with their sleep. If you think about it, it’s probably just as frustrating for them as it is for you. The actual symptoms of sleep regression can be any thing from just not sleeping well at night to waking up every hour, or throwing a tantrum whenever they are laid down. Now that I have survived the first year, I feel like I have a bit more wisdom on how to handle a sleep regression and some tactics you can use to help both baby and yourself. 1. Start by ruling out anything else. Hyland’s teething tablets relieved my baby’s teething symptoms almost every time. So when she was still seemingly inconsolable after being given the tablets, I knew some thing else was up. Try to treat the other symptoms before chalking it up to sleep deprivation. 2. Try making the crib comfier. Yes I know, we’re all terrified of SIDS. You don’t have to put a comforter in the bed, but maybe try a plus blanket underneath the crib sheet. This allows for a little more comfort without being a major suffocation risk. Some moms have even recommended rolling up a towel and forming it into a “U” shape underneath the crib sheet to offer more support for smaller babies. 3. If you’re having trouble with a baby who is sitting up in their crib , and can’t figure out how to get back to the laying down position, give them ample time to figure it out [30 mins to an hour]. If they don’t figure it out and fall asleep, or if the crying escalates, go in every 15 minutes and lay them down. We started out by leaving Bella to her own devices, but she became even more stressed, so that’s when we switched to the, going in every 15 minutes routine. A lot of these tips just depend on what works for your individual. 4. If you go in to comfort baby, try not to talk or interact. My husband’s tactic was to go in and rock her, while I preferred to tuck her back in and rub her belly. Either way, we tried not to talk or be too expressive, otherwise she thought she was getting out of sleep. 5. I’m not trying to hate on “cry it out” parents, like I said, we let Bella cry it out 20-30 minutes at a time, but I believe that babies eventually stress out and begin to feel abandoned. Going in to comfort a baby, with minimal interaction, may calm them down faster, and help to relieve their anxiety more then letting them exhaust themselves. I used to think I needed to just close the door, and leave it all behind me just for sanity’s sake, but I ended up feeling worse by letting our daughter cry it out indefinitely. Periodically going into comfort her relieved both of our anxieties. 6. Get help. 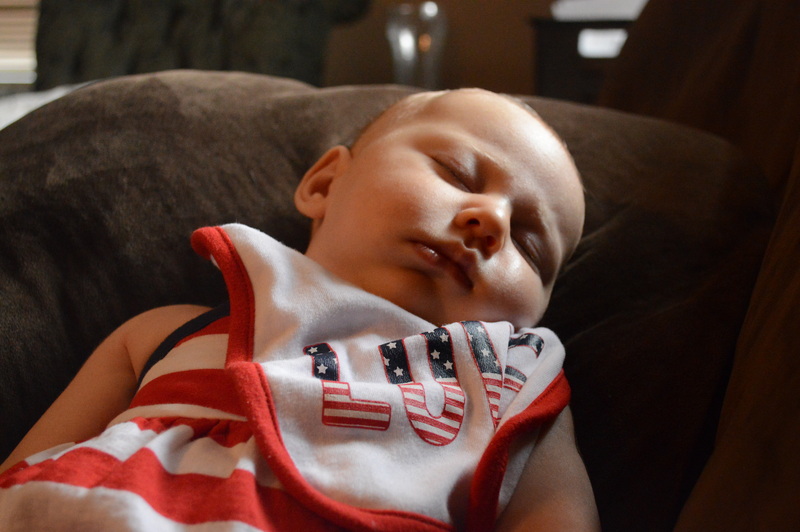 Sleep regression is exhausting for both you and your baby. 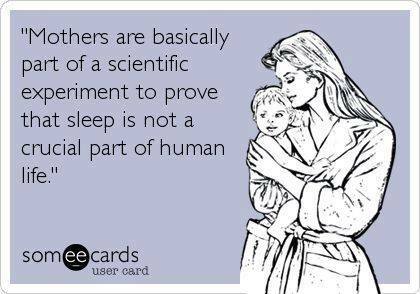 In all honestly, I found myself wanting to spank my baby for not sleeping. This is when it’s time to tap out. “Punishing” your baby for not sleeping will only escalate whatever discontentment their already is, and it’s not their fault! If you’re a single parent, ask a friend or family member to come stay with you for a night and help out. Having my husband their to help me share the burden made me feel less isolated, and less likely to take out my frustration on some one who doesn’t deserve it. 7. Wine. Just kidding… but in all honesty, whatever helps you to relax or calm down, do that. When my husband goes in to take a turn comforting our baby, I’ll go take a hot shower. This helps me recollect my thoughts and sanity before it’s my turn to go in and comfort the baby. 8. Know that this will pass. I am typing this having just battled a WEEK of sleep regression with my 12 month old. She was resisting naps, which only made bedtime more of a struggle later, and it was just a stressful experience. I had friends and family telling me she didn’t need 2 naps, that I should put her to bed later, when I knew it was just a regression that would eventually pass. Don’t make huge changes during a regression. Or at least, try not to. There are times when baby will need to make a transition with their sleep schedule, but just try to keep doing what you’re doing, be consistent, and know that this will pass. They will eventually sleep again.